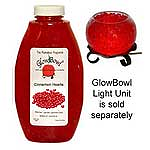 Use this cinnamon hearts glow bowl gel in our glow bowl units when you want to freshen up your home without using an open flame. 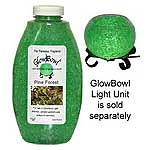 Pour about half of this cinnamon hearts scented gel into the the glass jar and switch on the light. 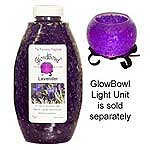 The light bulb will warm up the scented gel causing it to release the fragrance into the air. 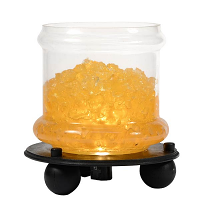 After about a week, you may notice the gel starting to dry out, simply add a little bit of water to rejuvenate the fragrance. 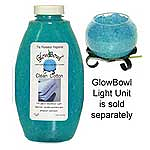 When the scent becomes to faint throw away the gel and refill it with your favorite glow bowl fragrance.